Fantastic views over famously lovely Pacific Fiji from its main peak. Possible to spot wild goats, wild pigs, fruit bats, Fiji goshawks. This is a strenous walk, the path steep and uneven. Come prepared. "Fiji is famed for its picture-postcard sandy beaches, its fantastic snorkelling and diving opportunities and the warm welcome it gives to visitors. With tourism playing a huge role in Fiji's economy, there is no shortage of options when it comes to places to stay. After much deliberation, we chose the award-winning Octopus Resort. Located in the Yasawa Islands region in the Western Division of Fiji, the resort is situated on Likuliku Bay, a mile-long sandy beach that is one of Conde Nast's top ten beaches in the world. 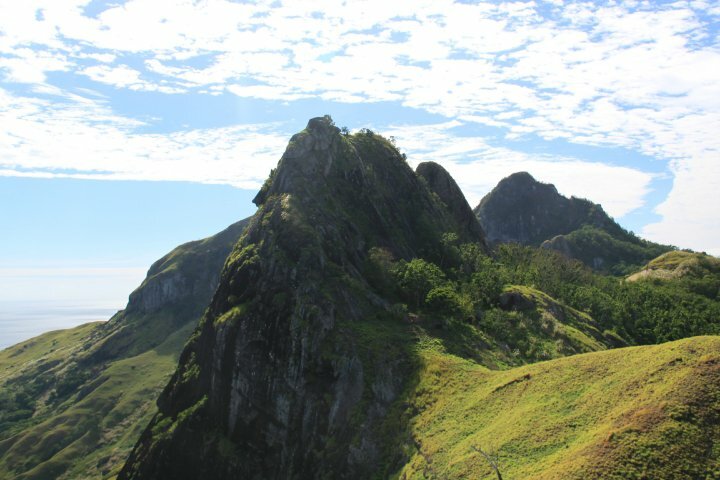 Tempting though it was to spend all the daylight hours soaking up the sun from the comfort of a lounger on the beach, we decided to join the group of enthusiastic guests signing up to the challenge of climbing the unpronounceable Uluinakaukau mountain. Having previously only appreciated it as the resort's scenic backdrop, we decided that a three hour hike to the summit would generate a great appetite for breakfast and give the rest of the day's lounging a sense of being well deserved. Promised fantastic views and the possibility of seeing some native wildlife (groups have been known to spot wild goats, wild pigs, fruit bats, Fiji goshawks and a variety of local creepy crawlies) we set our alarms for the crack of dawn. Setting off before the heat of the day made the exertion unbearable, we be began our hike with a leisurely walk over the hill to Nalauwaki village. Octopus resort prides itself on the close relationship it has with the villagers, many of whom work there to earn a living. The resort also encourages its visitors to donate to an education programme for the village children, matching every $1 with a $3 contribution of its own. This helps ensure that every child gets a good education and means that the symbiotic relationship between the resort, its guests and the villagers is as beneficial to all parties as possible. 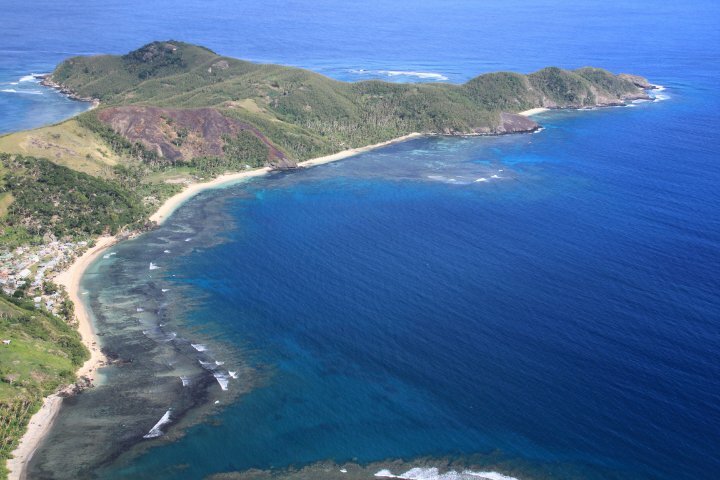 It is with the villagers' permission that we are allowed to hike over their land during this trek and their geniality is evident in the friendly greetings we elicited as we walked across Nalauwaki beach towards Uluinakaukau. From the far side of the beach we start our ascent. The mountain climb itself is tough and pretty relentless, though our Fijian guide made it look far easier than any of the rest of us made it seem. The path is steep and uneven and it pays to alternate watching your step with admiring the view, rather than try to walk and take in the scenery at the same time. Once at the summit, the panoramic coastal views make the effort of climbing well worth the sacrifice of a lie-in."